A beautifully detailed rosary medal set. You'll receive one crucifix and one center. 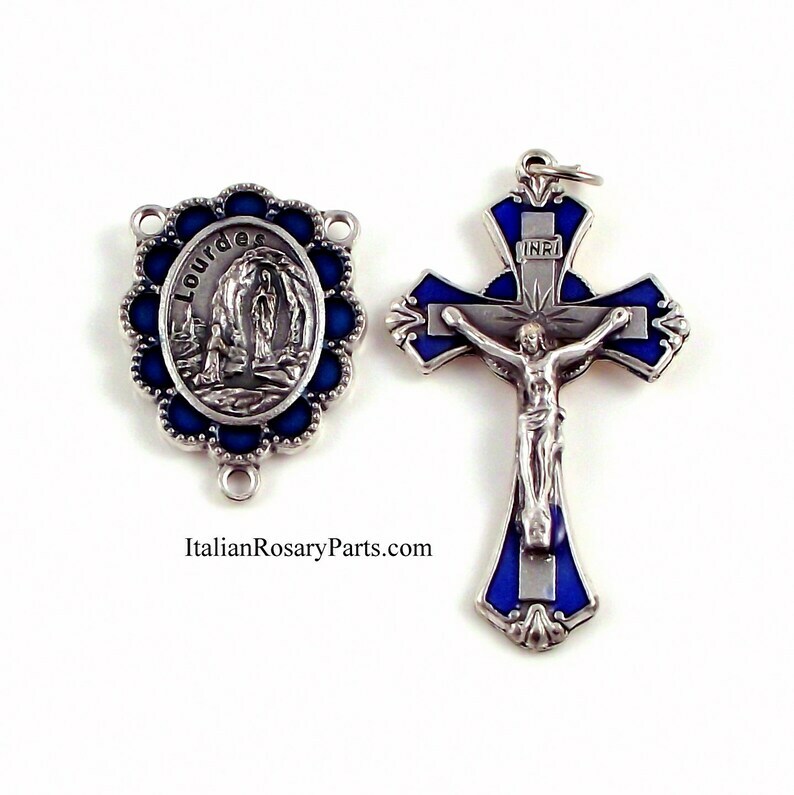 The crucifix measures 1-3/4" high and the Virgin of Lourdes centerpiece measures 1-1/4" high. Silver-oxidized metal and blue enamel. Made in Italy. Strong. Great quality! Great detail.